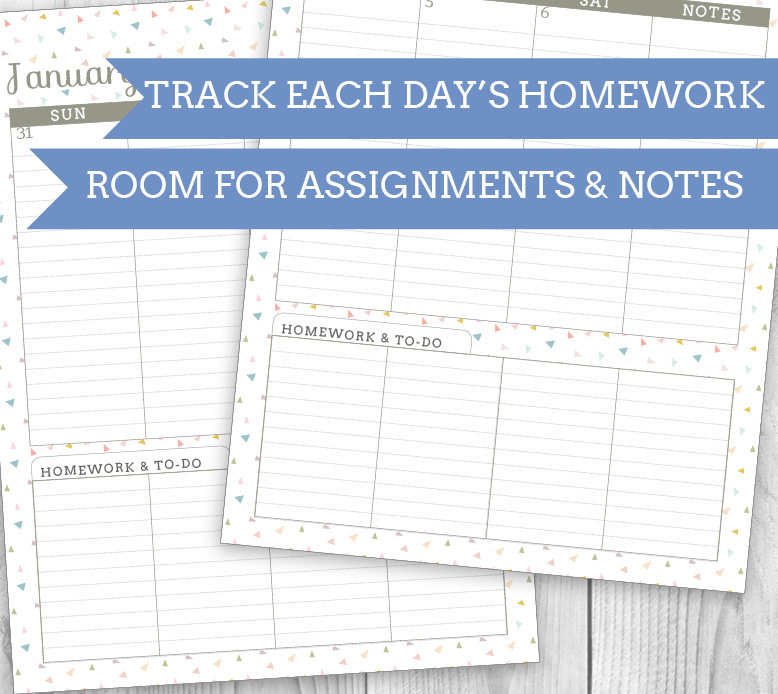 For students, keeping on top of homework and schedules is very important for success. 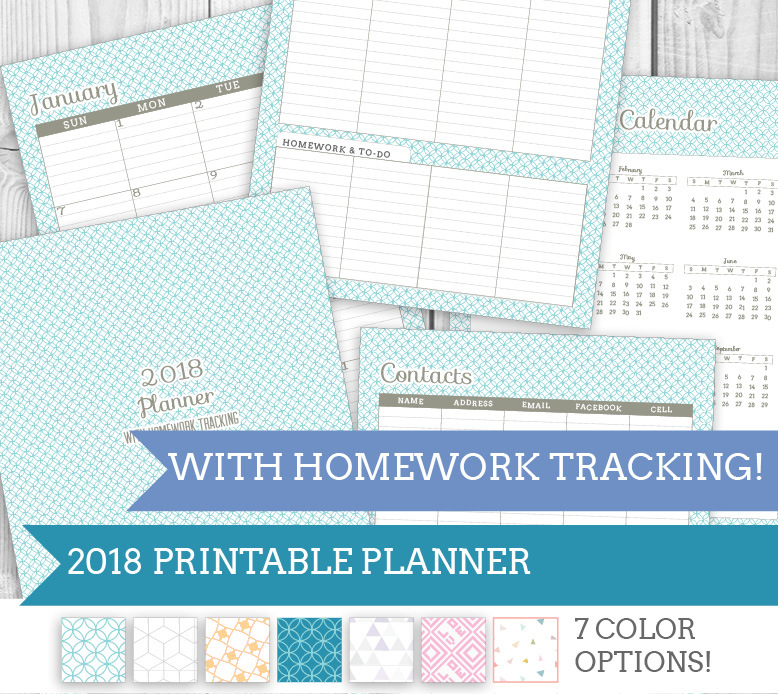 This Planner with Homework tracking has spacious areas for daily agenda items as well as dedicated space to write homework assignments and notes. 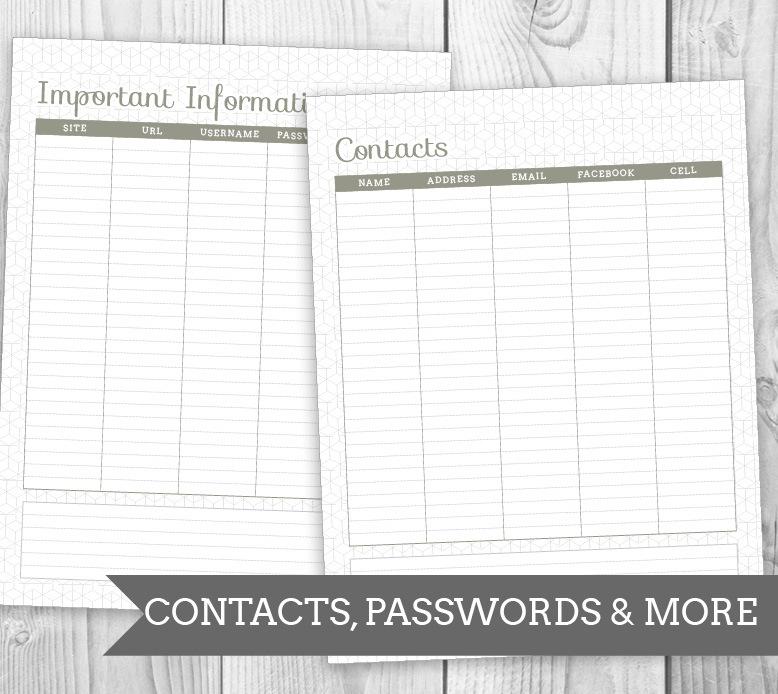 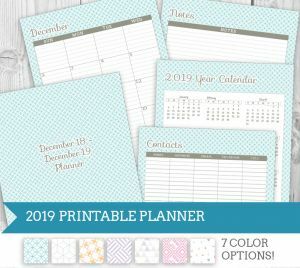 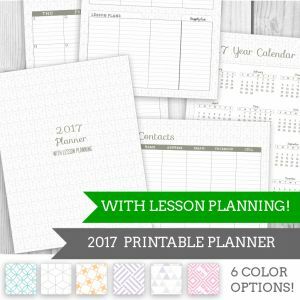 Pair it with the Class Schedule add on for a great student planner. 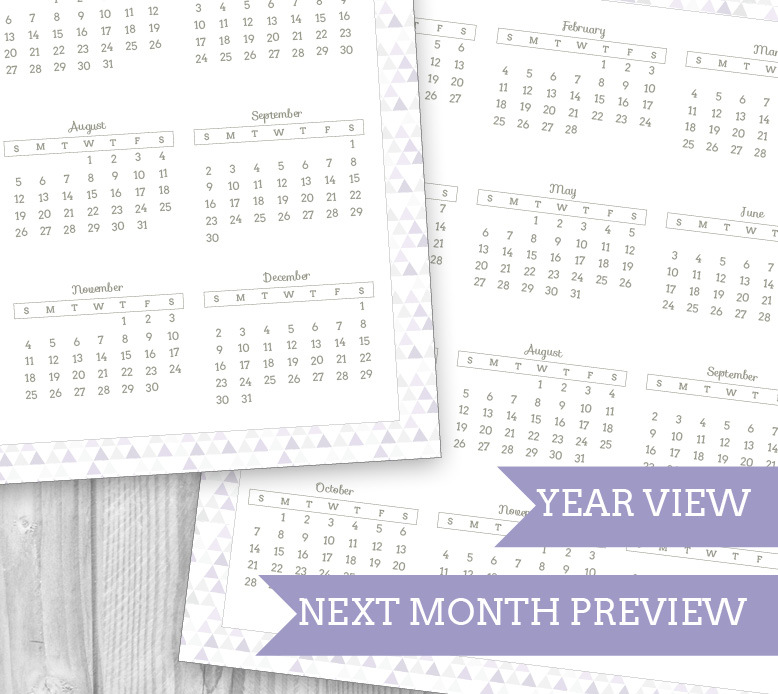 Beautiful and spacious 2 page views for all months June ’18 – June ’19. 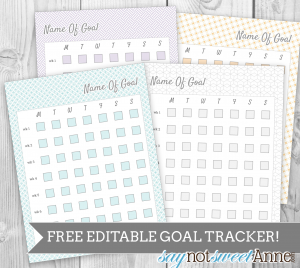 I LOVE LOVE LOVE this! When will there be one for the 17-18 school year? 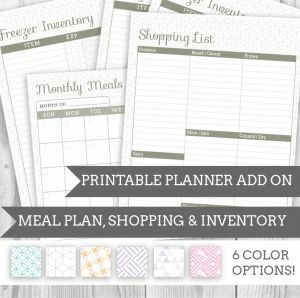 Sorry Lauren, I’m no longer supporting the Junior size, as it doubles the total effort of the planner line and I’m not able to keep up.